Built with your needs in mind, our impressive Accident Free 2012 Volkswagen Golf GTI Hatchback is presented in eye-catching Carbon Steel Gray Metallic. Motivated by a TurboCharged 2.0 Liter 4 Cylinder that offers 200hp while connected to a quick-shifting 6 Speed Manual transmission for the ultimate in road control. Our Front Wheel Drive GTI provides agile sport suspension, powerful brakes, and a feeling of flat-out fun. Check out the sporty stance of our GTI enhanced by alloy wheels, a rear roof spoiler, and fog-lights. Open the door to our Golf GTI and surround yourself with upscale materials and a premium feel with comfortable seating for four and all the logical amenities perfectly in place. 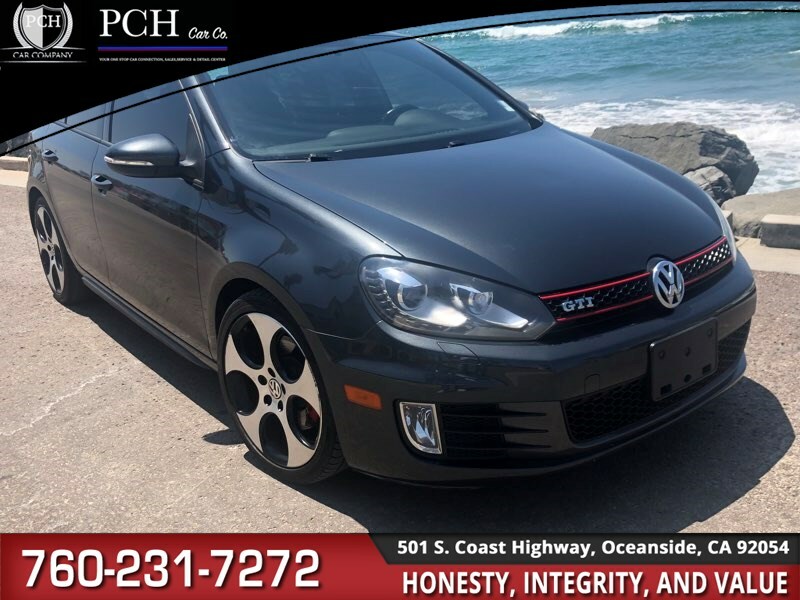 Power windows, a leather-wrapped wheel, heated front seats, a sunroof, climate control, full-color navigation along with an impressive audio system w/media interface make this GTI the one to have. Volkswagen offers six airbags, ABS w/Electronic Stability Control, and other advanced safety features are on board to provide ultimate peace of mind. It's time in life for a reward! Get behind the wheel of the Golf GTI today! Print this page and call us Now... We Know You Will Enjoy Your Test Drive Towards Ownership!